Everything you need to collect, consolidate and manage payments with intuitive ease. Everything you’d ever need to know, see or do to master your e‑commerce or donation collection efforts is accessible through your consolidated merchant services and nonprofit Gateway dashboard. A Gateway product that has it all. Consolidate mobile and online payments. Create and securely store customer data. Process credit card payments and ACH deposits. Receive customizable notifications in real-time. Refund transactions and send receipts. Verify addresses to reduce declined transactions. Integrate in an instant with one line of code. Learn more about PaymentSpring’s Gateway dashboard. When you plug in to our mobile solution, our mobile solution plugs in to your consolidated payment dashboard automatically. 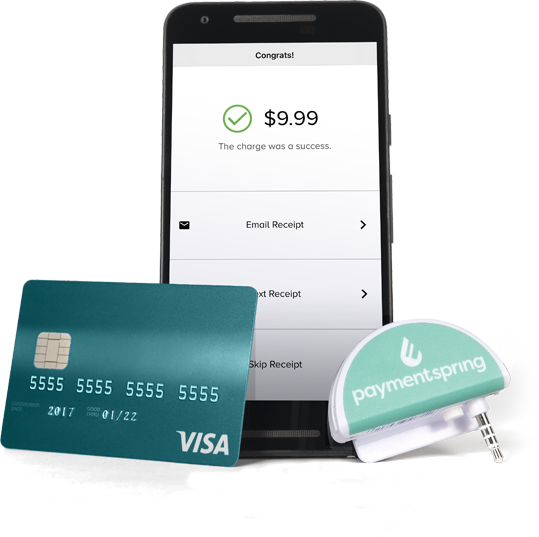 Backed by our end-to-end encryption, tokenization and vaulting safeguards, PaymentSpring Mobile delivers secure, savvy ways to swipe payments and donations across the country. 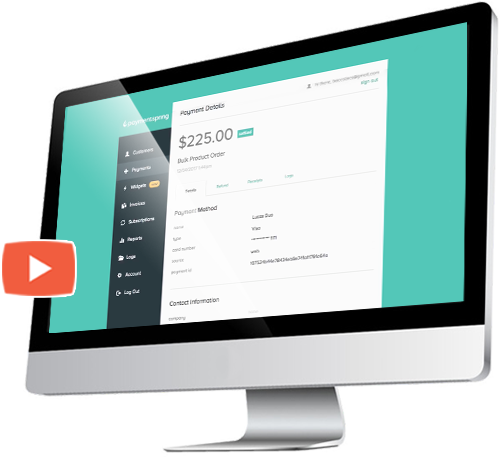 Finally, a SaaS payment solution that puts you in control. Our Partner Tools dashboard gives you total access to help manage your clients’ payments. Set up merchants in minutes, fetch API keys and make password changes without the middle man. You’re completely independent, but don’t worry—our dev and support teams will always be there for you if you need them. Don’t be a one-payment-type-only kind of business. We accept all major payment types from cards and checks to ACH and digital wallet. Our Checkout Widget makes integrating payments a snap. Add a pay or donate button or form to your site in a matter of minutes, all while enjoying maximum customization. Just go into your dashboard and build the form or button that’s the perfect fit for your organization. Then all it takes is a copy/paste. PaymentSpring is PCI Level 1 Certified and securely facilitates the tokenization process, applying end-to-end encryption to every bit of sensitive financial information that passes into your Gateway dashboard. Lock in a secure solution. Nothing beats a payment processing solution that is ready and able to grow with your business, nonprofit or SaaS software platform.